The healthcare industry in Asia is booming. Since the turn of the year, a total of $979 million has been invested in healthcare in Asia, up from $771 million for the same period last year—that’s a 27% quarter-on-quarter increase. With the average deal value sitting at $23.9 million, the Asia-Pacific region remains number two in the world for healthtech investment. China is the region’s biggest benefactor, the result of healthcare services platform, Ping An Good Doctor, bringing in pre-IPO investment of $400 million. 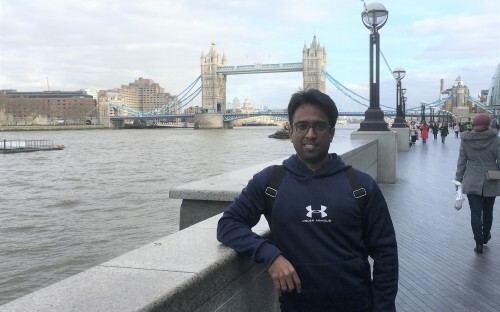 Sai Kiran Somala, a current MBA student at the China Europe International Business School (CEIBS), is seeing the growth of the industry first hand. Having initially made the decision to enrol on an MBA program in 2012, he ended up at CEIBS after focusing his search on Asia—he had spent his career in India, holding various roles in the healthcare industry. “What helped was when I talked to them about my aspirations,” he says. “My goal was healthcare, that was always my priority. Sai got an internship with pharmaceutical firm AstraZeneca after meeting a representative of the company at a networking event hosted by CEIBS, at the end of his second term. He has been interning in project management for AstraZeneca since January 2017. It’s an experience that has exposed him to the vast potential for growth in the industry in China. The government, Sai says, has adjusted its focus on the healthcare industry over the course of the last two quinquennial plans. “There are three categories that will be impacted in a huge way,” he explains. During his time with AztraZeneca he has seen a rapid increase in the number of approvals being passed for new products. “It’s even ahead of the US,” he says. Secondly, the government is actively encouraging private firms to join the healthcare industry, investing and launching their own initiatives. Thirdly, as more drugs are placed on the reimbursement list and passed into the marketplace, patients will reap the rewards—more access to drugs, and an increase in prescription longevity. “There is much higher growth in China where policies favour these three entities,” Sai asserts. The CEIBS MBA prepares students to take a similar path to Sai through a tailored healthcare elective. The Healthcare Management and Policy modules is led by professor John Cai, who is strongly connected to industry, academy, and the government. The elective teaches students to understand China’s healthcare policies and economy. “CEIBS is great for those wanting to expand their horizons in healthcare,” admits Sai. Roy Chason, of KNOHAO Deep Learning Experiences, echoes Sai’s sentiments around healthcare in China. “The market has seen double digit growth for the past decade and will continue to do so,” he says. He puts it down to the continuous rise in China’s middle class, chronic illnesses, and the ability to afford treatment for such diseases by more and more Chinese. “Huge” investment in the modernization and evolving regulation of the national health care system will also guarantee growth for the foreseeable future. How could CEIBS MBA students benefit? Traditional, foreign Multinational Corporations (MNCs) in the healthcare sector offer some of the most attractive prospects, salaries, and recruiting of MBAs—although Mandarin is often a requirement. “Many Chinese investment firms are also aggressively investing in this sector and require MBAs who have an understanding of the healthcare industry,” explains Roy.